19 Hazel St Milton, MA. 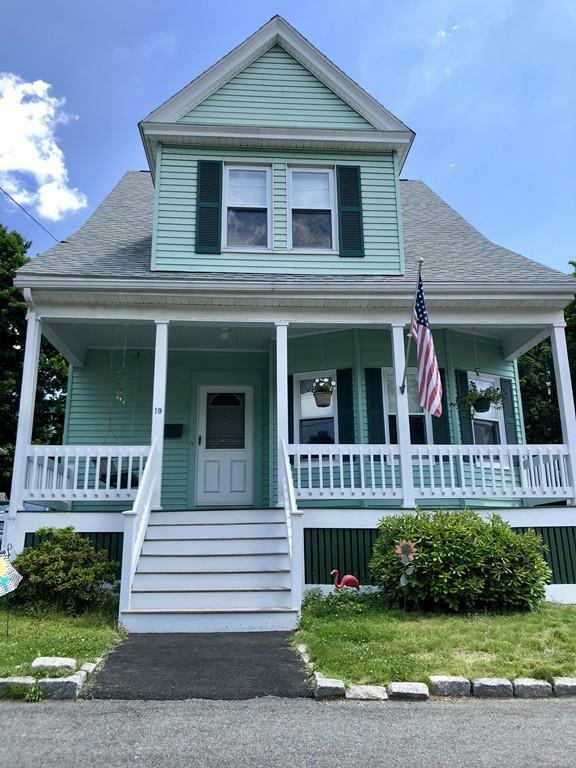 | MLS# 72343291 | Weymouth, MA Real Estate - Germaine Realty Group, Inc. Welcome home! This beautiful, well maintained home has been in the same family for generations, and now you have the chance to make it your own! There are 8 generous size rooms with 8ft high ceilings, 3-4 bedrooms, and a large unfinished full basement. The giant walk up attic has so many possibilities to be finished into another bedroom, office, playroom, etc. Enjoy your time on the over sized front porch relaxing on the porch swing, or in the nicely landscaped fenced yard. This home is located in a fantastic neighborhood, on a nice side, dead end street, and is close by to all area amenities including shopping and restaurants. The elementary schools and gorgeous Cunningham Park are just a few minute walk away. And for all of you commuters, enjoy easy access to public transportation and all major highways. This home is a must see!